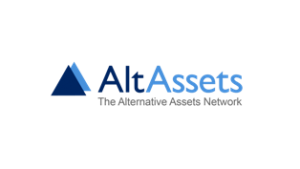 The FinTech Investor Forum is produced by AltAssets, the alternative assets network, which informs and connects over 450,000 individuals worldwide, who have an active interest in private equity and venture capital investments. FinTech Global provides superior data, research and analytics on all companies across all FinTech sectors worldwide. Clients are active investors, financial institutions, deal-makers and FinTech companies that understand the need for superior information to make better investment and business decisions. The unique format makes the event unlike any other in the FinTech industry and can generate a return on cost and time for participants that is unrivalled by any other event. Investors come away with unparalleled insights about where future investment capital will flow. Innovative start-up and scale-up companies meet more active investors and potential business partners in one day than anywhere else. Corporates and financial institutions obtain an up-to-date understanding of how their industries are being disrupted, to which technologies they should align and with which type of companies they should partner or acquire. Deal-makers share expertise, connect with prospective new clients and gain insights on the types of deals that will be prevalent in the forthcoming year. The FinTech Investor Forum was an extraordinary success last year and demand for places this year means we could increase its size four-fold as well as charge substantially more in delegate fees. However, in order to maintain the forum’s position as a pre-eminent event amongst the creators and shapers of FinTech, we are sticking to the proven successful format of last year: senior-level decision-makers; limited total numbers; investor and deal maker–focused agenda; intensive networking sessions; continuous delegate engagement; and a private club-type environment.